Situated at the NEC in Birmingham, the Clothes Show features a massive selection of stalls, catwalks and demonstrations-so you can imagine my excitement when I found out I'd won a pair of tickets in Lauren's giveaway! 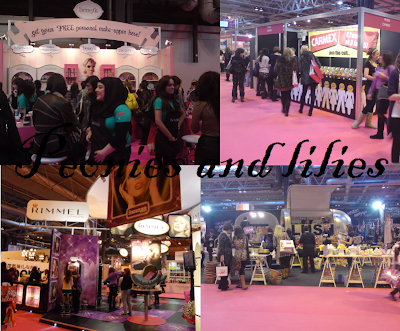 On the day, we headed straight to the beauty section, where there were a fantastic range of stalls, with many of the brands (Bourjois, Barry M, Rimmel, Benefit,Carmex, Lush etc) offering make overs and big savings compared to the high street. Pantene were also there, handing out samples of their aqua light shampoo and conditioner, inviting members of the public to film their best 'swish', as well as a mini catwalk show throughout the day. 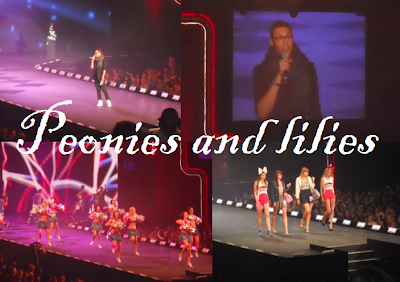 The highlight of the day was definitely the live show, which was presented by the fabulous Gok Wan! Based on classic movie themes, it featured a stunning visual display of dancers 'acting' out scenes, followed by a catwalk of outfits based on that particular theme. There were about 8 themes all together and all too soon, the show ended with a Dirty dancing finale which was simply amazing! All in all, it was a great day out and although neither of us brought that much, we thoroughly enjoyed ourselves, and I want to say a massive thank you to Lauren for hosting such a great giveaway and to Lucy from Pantene for getting me and my friend tickets to the fashion show! Ooooh I won Lauren's giveaway last year and had so much fun! Looks like you had a great day too.